Take a moment to look back at the ten most interesting and significant genetic findings of 2012 or at least the ones that drew our attention. In the last 12 months we’ve seen huge strides in genetic research giving us new insight into serious conditions such as Alzheimer’s as well as new treatments for cystic fibrosis. 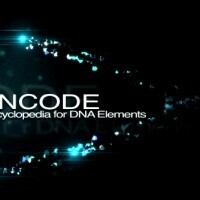 And in the last year scientists have made huge leaps in our understanding of the human genome itself with the culmination of a massive study of the so-called uncharted non-coding portions of our DNA – the ENCODE project. Researchers at 23andMe continue to contribute to some of these important findings with groundbreaking work on the relative importance of family health history versus genetics when determining disease risk and a new method to screen for the genetic risk for certain types of blood disorders. 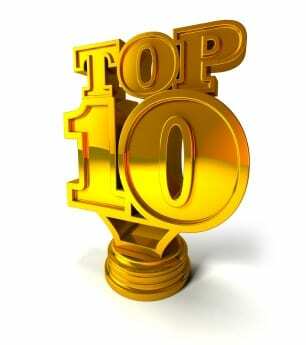 It’s been another great year of discovery and here’s our top ten. 1) A Genetic Variant Protective Against Alzheimer’s Disease – The T version of rs63750847 – also known as the A673T variant in the APP gene – was associated with about five times lower odds of Alzheimer’s. While this is a very rare variant – only about one in 10,000 people of European descent have it – the research, done by the Icelandic company deCODE Genetics in association with Genentech, adds more insight into the development of the disease. Many mutations in the APP gene actually cause Alzheimer’s through an overproduction of beta amyloid protein in the brain (a hallmark of Alzheimer’s), but the protective variant appears to do the opposite, according to the study. New drugs built on this finding could help protect against Alzheimer’s, or even the mental ravages of normal aging. 23andMe does offer customers reports on their own Alzheimer’s risk based on the more common APOE variant, as well as a report on this protective APP variant. 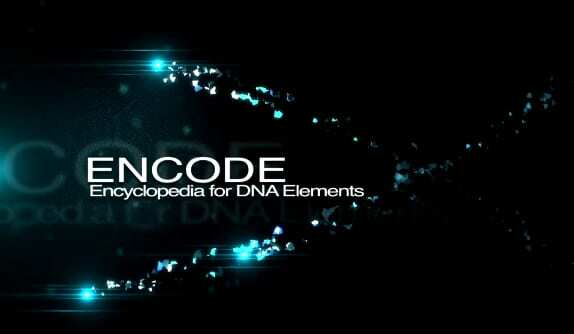 2) ENCODE Project Creates a Map of the Uncharted Areas of the Genome – Much of the work in genetics has been focused on the areas in our DNA that code for proteins, but this is a very small part – just 1 percent – of our genome. The ENCODE project, which has enlisted more than 400 scientists over several years, is attempting to map the rest of it, the so called “dark matter” of the genome. What they’ve created is the foundation of a sort of encyclopedia of the functions of many of these uncharted areas of the genome. It’s a resource that will be used by many scientists in the years to come. 3) Noninvasive Prenatal Sequencing – Two separate research groups reported within weeks of each other that they had successfully sequenced a human fetus and done so noninvasively. The breakthrough offers an opportunity for earlier prenatal screening than currently offered with amniocentesis or chorionic villous sampling (CVS) without the same risks for a developing fetus. 4) New insights into a group of rare blood disorders known as MPNs – In less than a year, 23andMe recruited a 1,000-person cohort with a group of rare blood disorders known as myeloproliferative neoplasms, or MPNs. Within months of reaching that goal we began reporting our new findings. Among them were replications of known genetic associations with the disease as well as new ones including an association between these conditions and variants in the TERT and ATM genes. 5) New Insights into Human Origins and Evolution – Several different studies highlight ongoing research on our early ancestors and the evolution of modern humans. Beyond the compelling tale of our early ancestors, the journey out of African and the intermixing with Neanderthals and Denisovans, the new research also gives us insight into the significance of rare genetic variants. 6) Family Medical and Genetics Used Together to Predict Disease – 23andMe developed a model to show that both family history and genetic tests have strengths in predicting disease risks, but when used together they provide the best predictor for disease. 7) Older Dads’ Biological Clocks – For a long time prospective fathers could wile away the years without much worry about when to have kids, while prospective moms were constantly checking their ticking biological clocks. A study may turn the tables a bit, pushing men to think a little more about how long they wait to start a family. The study says that as men grow older the number of de novo mutations they pass onto their children increases, and preliminary studies suggest that the more de novo mutations passed onto a child the higher the risk that child could develop certain types of conditions, such as autism and schizophrenia. That said becoming a dad can actually be good for you. There’s evidence linking fatherhood to healthier hearts. 8) Breast Size Matters, But Not How You Think – Researchers at 23andMe found that genetic factors influence breast size and that in turn these factors are connected to the genetics of breast cancer. 9) New Treatment for Cystic Fibrosis – Early in 2012 the FDA approved ivacaftor (Kalydeco ®) as a new treatment for cystic fibrosis, one of the most common recessively inherited diseases. The drug developed by Vertex Pharmaceuticals Inc. is the first treatment that targets one of the underlying causes of cystic fibrosis – a specific genetic mutation – rather than its symptoms. 10) Autism Study Reveals No Genetic Associations – It may be strange to point to a study that finds no genetic associations, but sometimes an absence of evidence can hint toward new routes of study. Cases of Autism spectrum disorders – which run the gamut from mild to severe impairment and include autism, Asperger syndrome and other disorders – have become increasingly common in the U.S. Why that is, is not so easy to discern. The lack of an association doesn’t mean that genetics isn’t important. In fact twin studies suggest that autism is at least moderately heritable, but it may be that genetic variations play a smaller role than rare mutations or copy number variation in the risk of a person developing autism.